Huawei smart view flip cover is the perfect way to keep your mate 9 protected and keeping yourself updated with your notifications thanks to the semi-transparent front cover. The front of your huawei mate 9 from scratches, scrapes and front-on impacts with the official clear view cover. 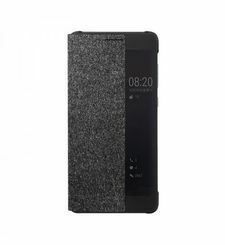 This case attaches onto the original back cover of your phone, clipping on to the back of your device without adding hardly any bulk and then folds over the front when not in use. This means that the most important parts of the phone, the screen, back and sides are protected from harm without the added thickness and weight normally associated with flip cases. Premium leather style without the leather but all of the style leather or not? This can be a good or bad thing depending on your point of view but regardless, this case features very stylish high quality synthetic leather material that is soft to the touch and very robust and hard wearing. 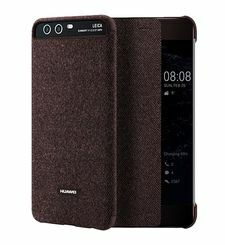 The case also features cut-outs for the ports and features of the huawei mate 9, including the charging connector and camera. 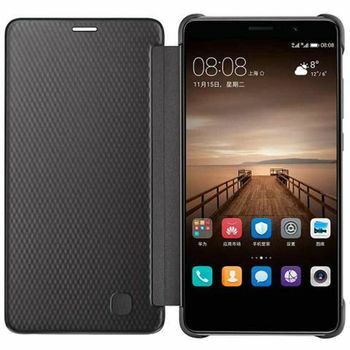 It is designed specifically for use with the huawei mate 9, so offers a perfect fit and does not impede the use of any of the functions such as the power and volume buttons, headphone and charging ports, or front and rear cameras. 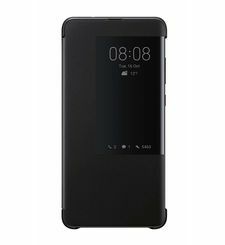 Huawei smart view flip cover is the perfect way to keep your mate 9 protected and keeping yourself updated with your notifications thanks to the semi-transparent front cover. 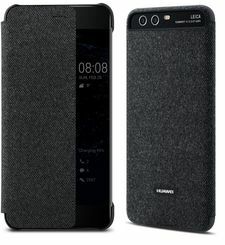 -View the time, battery life, incoming calls and messages without opening your case -Provides full screen protection without additional bulk -Premium leather style without the leather but all of the style -Compatible only with Huawei Mate 9 -Easily access all ports, controls & connectors View the time, battery life, incoming calls and messages without opening your case. 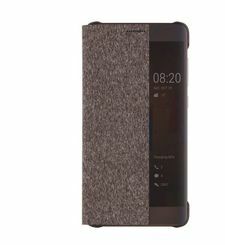 The official view cover case for the huawei mate 9 features a semi-transparent front cover that allows you to quickly and easily view incoming calls, messages, battery life as well as the time. This is a fantastic way to keep up to date with your notifications without having to constantly open and close your flip case. Fully touch compatible, the view cover allows you to not only view your notifications, but also to manage them through your new fantastic case. Provides full screen protection without additional bulk PROTECT The front of your huawei mate 9 from scratches, scrapes and front-on impacts with the official clear view cover. 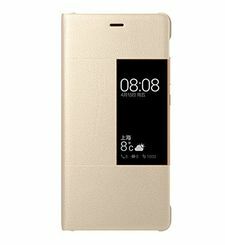 This case attaches onto the original back cover of your phone, clipping on to the back of your device without adding hardly any bulk and then folds over the front when not in use. This means that the most important parts of the phone, the screen, back and sides are protected from harm without the added thickness and weight normally associated with flip cases. Premium leather style without the leather but all of the style leather or not? This can be a good or bad thing depending on your point of view but regardless, this case features very stylish high quality synthetic leather material that is soft to the touch and very robust and hard wearing. 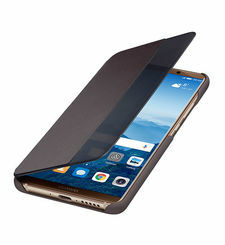 EASILY ACCESS ALL PORTS, CONTROLS & CONNECTORS The case also features cut-outs for the ports and features of the huawei mate 9, including the charging connector and camera. 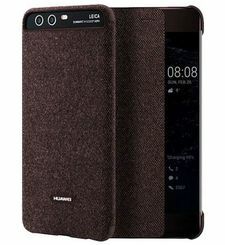 It is designed specifically for use with the huawei mate 9, so offers a perfect fit and does not impede the use of any of the functions such as the power and volume buttons, headphone and charging ports, or front and rear cameras.